Well I actually got 4 of them. If I need one I usually make them by hand. I guesstimate the size I need and use my fingers to make them. I would just keep wrapping the yarn around and then tie and then cut. 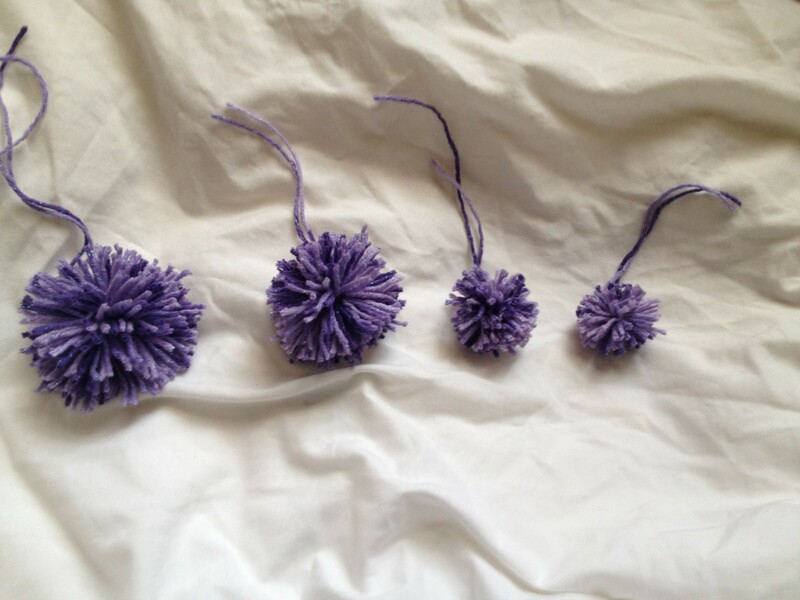 Now I have 4 Pom-Pom makers to use instead. They range in size from 1 3/8 in to 3 3/8 in. It took me some time to get the hang of it and follow the instructions. The thing that got me was that the package made it seem like there was only four steps. In reality when you open it up it shows nine. I didn’t mind once I figured it out. I did get the hang of it and now I can make as many pom-poms as I need for hats. I will say that this is much easier to use then to make them all by hand. They are all also uniform so it looks much better that they are all of the same quality. 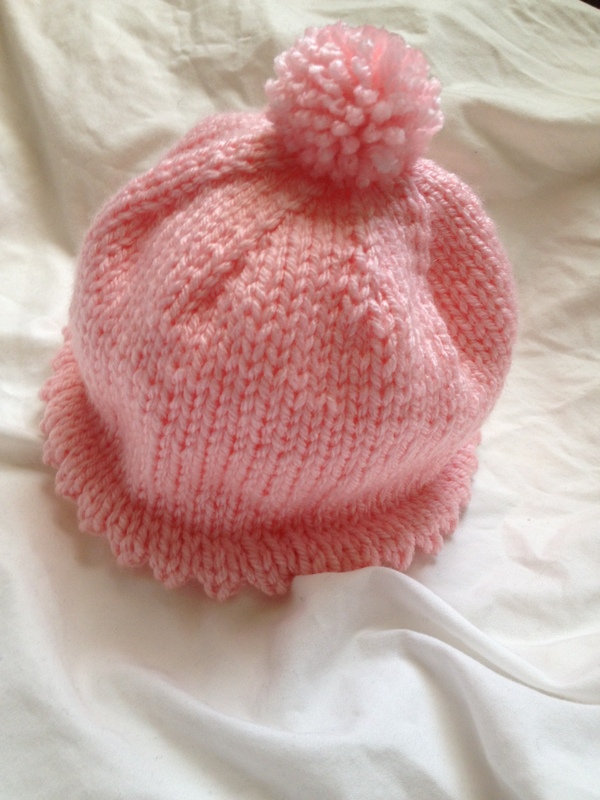 A baby hat with a newly made pompom.